With a short Minimally Invasive Balloon Sinuplasty Treatment, you will be feeling back to normal and breathing easy again. Our practice is particularly happy to be able to help patients who suffer from sinusitis with Balloon Sinuplasty because we realize sinusitis can be very painful and can adversely impact the well-being and the quality of life of our patients. In fact, sinusitis is a common condition that affects 37 million people each year, making it one of the most common health problems in the U.S.
Each sinus has an opening that allows mucous to drain - this drainage is essential to keeping your sinuses working well and you healthy. Sinusitis is an inflammation of the sinus lining. If the sinus opening becomes swollen shut, normal mucus drainage may not occur, and this may lead to infection and inflammation of the sinuses. While some patients can benefit from over-the-counter remedies and prescription drugs, others will require a more involved approach, and Balloon Sinuplasty has made a significant difference in our patients’ well-being. In-office Balloon Sinuplasty is now available to eligible patients performed by Dr. Bublik at his Glendale and Beverly Hills, CA office under local anesthesia. Dr. Bublik also is happy to provide in office Balloon Sinuplasty to patients throughout the Los Angeles area. At the practice of Michael Bublik, MD, we are committed to our patients’ well-being and quality of life. Our focus it t to ensure our patients are helped by the most advanced technologies and expertise in surgical and noninvasive sinus treatments, while maintaining the highest standard of patient care. We offer our patients the advantage of non-surgical treatment for those suffering from recurrent sinus problems, known as Balloon Sinuplasty. This remarkable sinusitis treatment has achieved consistently outstanding results for countless patients, while requiring little or no anesthesia and minimal recovery time. This treatment is performed in place of more invasive and aggressive surgeries that involve general anesthesia with lengthy recovery processes. If you suffer from chronic sinusitis, you know that this condition can seriously impact your quality of life, causing a range of symptoms from sinus headaches to fatigue and halitosis (bad breath). It's a condition that should be addressed and this new and surprisingly simple treatment is, for many people, the best way to address it. Most health insurance companies will cover all or part of balloon sinuplasty cost under most circumstances. When performing balloon sinuplasty, Dr. Bublik will insert a catheter through the opening of the nose into the sinus opening and then thread a sinus guide wire into the targeted sinus, providing light transmission and illumination that will help Dr. Bublik ensure correct placement of the guide catheter. Once access to the intended location is confirmed, a balloon catheter is introduced into the sinus cavity and inflated to open the narrow or blocked passage. Simple. No tissue removal. No bleeding. No pain. Local Anesthesia: In–Office Balloon Sinuplasty is an option for patients who decline or are ineligible for general anesthesia. Dr. Bublik has done the procedure on people in their 80’s without incident. Only topical anesthetic is required in most cases, and most patients report little discomfort. Minimally invasive: No actual incisions are made and everything is left intact without removal of tissue. Eliminates or vastly reduces the incidence of sinus headaches. Works as a nasal congestion treatment that works by clearing nasal passageways: You’ll be breathing so easily, faster! Fast Recovery: Minimal recovery time with In–Office Balloon Sinuplasty for Dr. Bublik’s Los Angeles / Beverly Hills / Glendale / Encino / West Hills / Burbank / Pasadena patients – many patients are able to return to work within the first 24 hours. Comfortable Surroundings: Experience the procedure in the comfort of Dr. Bublik’s Los Angeles / Glendale office rather than in a hospital operating room. High Patient Satisfaction: The majority of patients who had Balloon Sinuplasty In-Office by Dr. Bublik would recommend the procedure to family and friends. The benefits of In–Office Balloon Sinuplasty performed by Dr. Bublik represent a marked improvement over traditional sinus surgery, which are performed with general anesthesia and involve a longer recovery with more postoperative care requirements. As groundbreaking as the balloon sinuplasty procedure is, the quality of the physician performing it is also crucial. Dr. Bublik was one of the first surgeons in the country to work with Balloon technology when it was in its developmental phases. Dr. Bublik also trained with leading experts and international renowned sinus surgeons and has implemented their techniques in his own practice. With many years of experience studying and working with sinus-related concerns, including sinusitis, nasal congestion, and allergies, Dr. Bublik is the type of ear, nose, and throat (ENT) doctor that patients in Los Angeles trust and seek out. He is a widely respected surgeon and medical specialist with a tremendous amount of experience, making him the sinus surgeon that patients seek out not only for primary sinus surgery and in-office balloon sinuplasty, but also for more complicated revision sinus surgery. 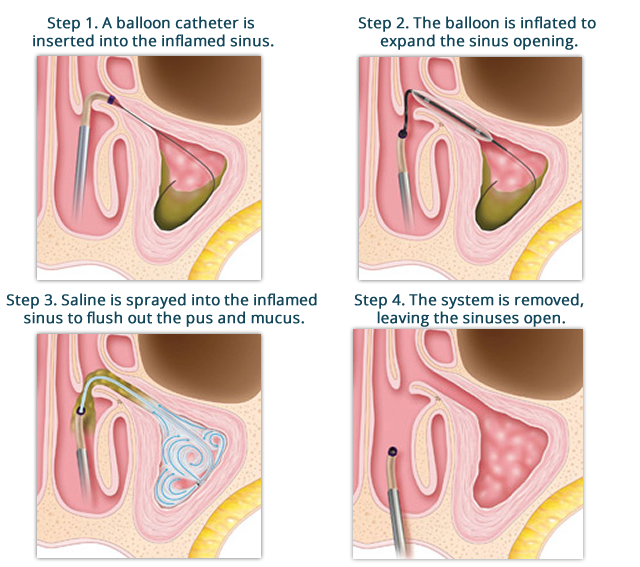 While the in-office balloon sinuplasty procedure can be an exceptionally effective way to clear sinuses for many patients, Dr. Bublik points out that it is not necessarily the right choice for everyone and therefore a comprehensive consultation with Dr. Bublik is performed prior to any procedure. In general, however, patients diagnosed with chronic sinusitis who are not responding well to medications may be candidates for sinus surgery with the balloon technology. Meet Los Angeles ENT Doctor Michael Bublik, M.D. 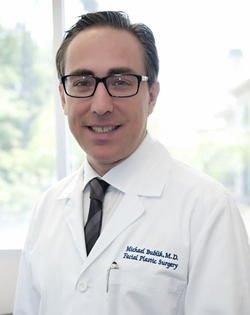 Meet Los Angeles Plastic Surgeon Doctor Michael Bublik, M.D. Balloon Sinus Los Angeles California Provides In-Office Balloon Sinuplasty Catheter Sinus Treatments for Chronic Sinusitis and Sinus Disease. 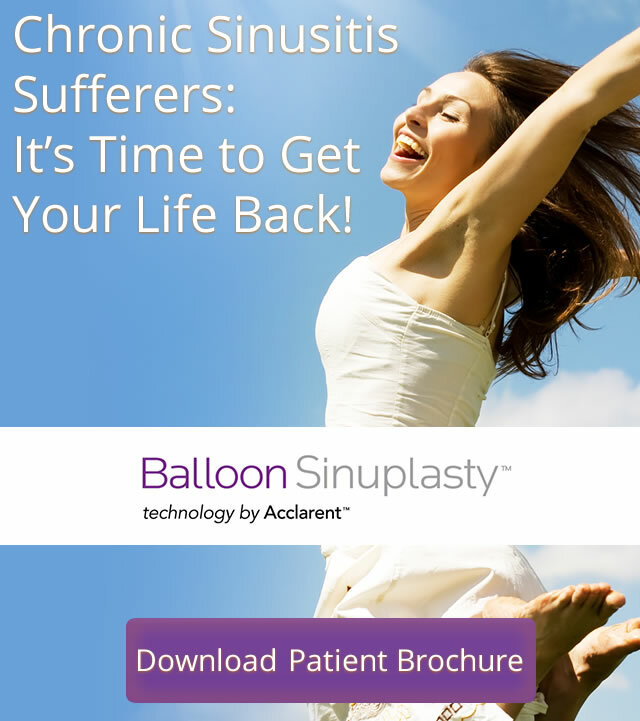 Not all patients are candidates for Balloon Sinuplasty treatments of the sinuses. Please call our Glendale orBeverly Hills CA ENT/Sinus office to schedule a consult. Copyright © Michael Bublik, MD | ENT Otolaryngology Website Design | Medical Website Design | Medical Website Design by Vital Element, Inc.